Many business owners in Long Island don’t have the ability to be present at their place of at all times. Between businesses meetings, having more than one location, large office spaces and personal responsibilities it’s impossible to be everywhere at the same time. With the right video surveillance system, owners of businesses in Long Island can monitor multiple locations at once – even remotely from your cell phone when the right equipment installed. Long Island Security System can help you protect your business in NYC Long Island 24/7. Contact Long Island Security System today for a free onsite security evaluation. Call Long Island Security System at (516) 271-1652 and get the best consultation from the experts of Long Island Security System. A lot of companies in Long Island meet annoying problems with theft. Whether you own a grocery store, clothing store, a restaurant, hotel or a garage. If you have anything of value on your property, you are at risk of having it stolen. By installing surveillance cameras not only can you decrease theft from outside, but you can control internal theft (As well as many other things). The price of surveillance cameras will always provide more benefits than the costs incurred by theft. Commercial security cameras enable you to see if a suspicious event is in progress enabling you to alert the authorities before the problem escalates. Having a video surveillance system installed will allow you to help authorities identify suspects in case a theft or vandalism should occur; it can also help to identify false insurance claims made against your business. Finally, surveillance cameras can help protect both your clients and employees from situations that may arise including threats of physical threat, sexual harassment, workplace accidents, robberies, and potential accidents. Being able to monitor your business live allows you to catch potentially dangerous situations before they escalate. At Long Island Security System, we understand the security issues faced by businesses in Long Island and how a quality security camera system can positively impact a business. Our Security Consultants can help you develop a comprehensive video surveillance and safety solution that meets your needs and that allow you as well as your employees and your clients to feel more secured. If you want to learn more about how Long Island Security System can help your business, call us at (516) 271-1652 and meet with one of our experts who installed and serviced countless security systems in Long Island. Regardless of whether your company in Long Island have 3 employees or 300 employees, you can increase productivity simply by letting employees know that they’re always being monitored, and that at any given time you can watch them. Right now, or in the past. Visible security cameras are enough to encourage employees to do their job properly, and not waste time which will help to track the productivity of your workers and work on improving the efficiency of your business. Additionally, security cameras enable you to ensure customer’s service is being handled properly and hold your employees to your level of standard as every company in Long Island Needs to. They will also allow you to monitor your employees who handle cash registers, valuable items, have access to safes, stockrooms and products to protect your business against employee theft. BHO Security Systems And Cameras provides installation of high resolution, high retention and high quality IP and HD Analog camera systems in Long Island NY. 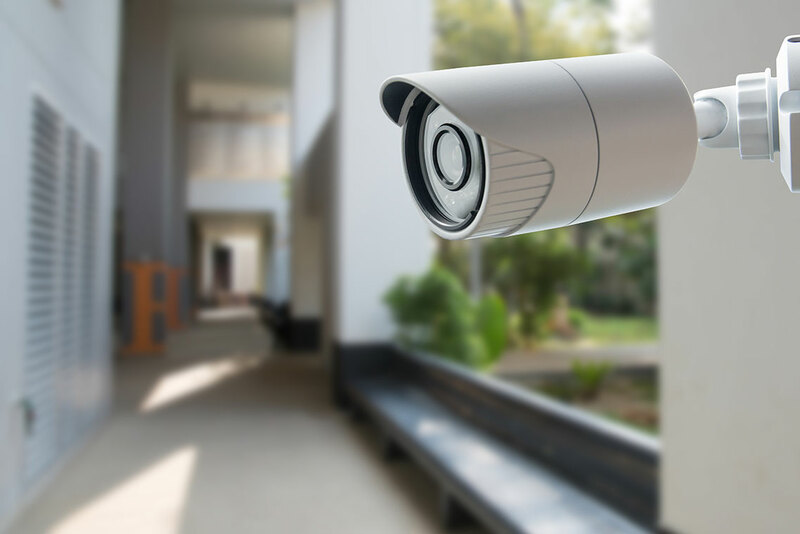 Security cameras have become a proven tool for increasing security and helping prevent losses due to vandalism, theft, and unfounded liability claims. More recently, video surveillance cameras is used as a managing tool to not only increase productivity but enhance planning and scheduling and to better understand the way a company operates. Selecting the right security system has become hard considering the unique types of technologies now available on the market. From analog to IP based systems or single site to multi-site systems, Long Island Security System of Long Island can supply and install on your most complex projects. A properly installed Security System – As all the systems installed by Long Island Security System in Long Island are - will help protect your assets from theft, vandalism and save you money on your insurance policies. Security Systems act as a deterrent to potential thieves, and make sure the proper authorities are notified to help minimize any loss due to burglary. Every security system installed by Long Island Security System has the capability to detect unauthorized motion, glass breakage and the opening of all points of entry. Each security system also supports several methods of panic or duress notification. It is our goal to make sure you have the tools and information needed to decide on the best security solution for you. Many security issues start for homes & businesses when no camera or security system is installed. With Long Island Security System, you can view a live-feed of your security cameras from anywhere in the world using your smartphone or your laptop. Services from Long Island Security System assure monitoring around the clock and from all angles to keep an eye on places you value, even when you are not looking. No matter what type of business you own, security cameras are a must. Long Island Security System of New York will help you protect your business against theft, protect yourself against false insurance claims as well as monitor your employees to track productivity, allowing you to work on improving the efficiency of your company. There are no circumstances where not having a security system in place makes sense, especially today when in some places in New York it became a requirement. Surveillance cameras have redefined security and protection of both business and commercial properties in Long Island. Industrial security cameras can take a huge weight off your shoulders and allow you to get answers to many wonders right there and right now wherever you are in the world, by being the extra set of eyes you need in the event something goes horribly wrong. Regardless of the size or type of business you run in Long Island or anywhere else in the US, there may be different reasons why you should consider installing a quality video surveillance camera system for your business. Long Island Security System is a company based in NYC Long Island and offer all types of security systems solutions. Not once we provided solutions clients weren’t even aware of.